Panic! At the Disco is a punk pop band from Las Vegas, Nevada. They’ve come out with four albums and been nominated for countless awards (including MTV’s “Video of the Year” which they won in 2006). But the best part about them isn’t their catchy tunes and huge success, but the fact that they’ve done it all while wearing chucks! They can specifically be seen in the video “This is Gospel”, a song about being able to move away from unhealthy relationships. Though it has some unsettling images such as doctors holding singer Brendon Urie down to an operation table as he tries to escape, it actually sends a message of hope. While the duration of the video depicts someone being restrained, it all builds up to a moment of freedom. It is that moment of freedom that chucks make their first appearance. 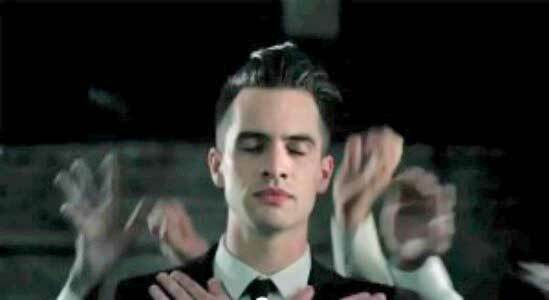 Singer Brendon Urie as he is about to be pulled into a coffin. 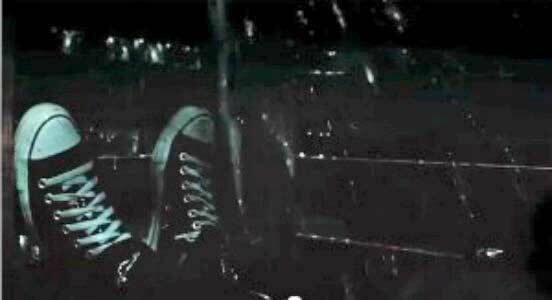 After being nailed into a coffin that is slowly filling with water, the camera pans over to show Urie’s chucks. 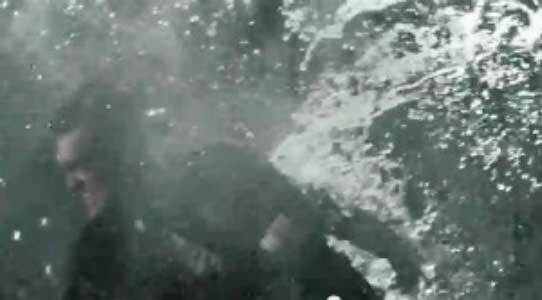 Moments later, he’s taking deep breaths of air as he victoriously bursts free from his watery grave. Brendon Urie’s chucks as he is trapped in the coffin. Urie as he breaks free of the water filled coffin. Overall, the video is quite powerful and speaks to anyone who is struggling to get away from a negative situation in life. It tackles fear in a symbolic and artfully done way, and the way the water transforms from an object of fear (as it floods the coffin) to a vision of rebirth (when the singer bursts through it) shows that no matter how bleak something may be, it is possible to be overcome. Plus, as seen on Urie’s own feet, you can do it all in a pair of chucks!